Wm. Masters, Inc.: Does your house need electrical maintenance or service? Does your house need electrical maintenance or service? 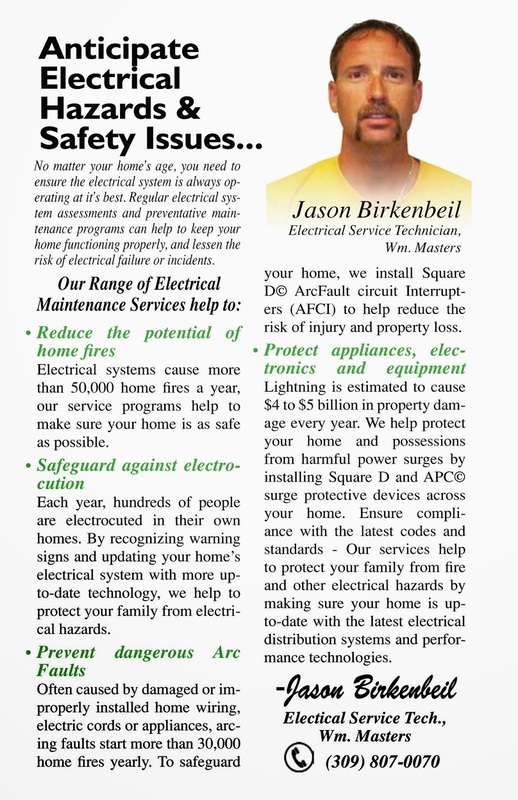 Here's an article on Electrical Hazards and Safety Issues in you home. Water Heater changes are coming!